Commercial Heating, Auburndale, FL | Johnson's Mechanical Inc. Commercial Heating, Auburndale, FL | Johnson's Mechanical Inc.
Keep your customers happy year-round with our commercial heating services in Auburndale. When you have a business in Auburndale Florida, you may not think much about your commercial heating system for much of the year. But you know that there are certain times of the year that you need your commercial heating system to keep your customers and your employees happy, particularly if your business operates after the sun goes down. 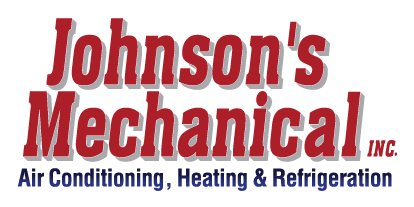 Here at Johnson’s Mechanical Inc. we have been taking care of commercial heating services and maintenance in Central Florida since 1982. Our priority is our customers, which is why we offer emergency service 24 hours a day, 7 days a week. No matter what the make or model of your commercial heating system may be, or who installed it, we can repair and replace parts when needed. As a state certified HVAC contractor, we are fully licensed and insured. Our professional technicians have the experience and knowledge needed to complete your needed repairs reliably and efficiently. Once the repairs are completed, you can talk to us about regular commercial heating maintenance services. An occasional tune-up will extend the life of your system in many cases and reduce the frequency of sudden system failures. We will keep your employees and customers happier because they will never be cold and uncomfortable when they are in your establishment. Beyond commercial heating services, we offer a wide range of commercial and residential services, including chilled water systems, kitchen hoods and ventilation, wine coolers, large refrigeration units like walk-in coolers and freezers, ice makers and custom ductwork. For all your HVAC and refrigeration needs, give us a call today.